Have you seen the dog that looks like a lion? This is Murphy, a rare breed of “bear-coated” Shar-Pei. The bear-coated Shar-Pei isn’t common, and it only occurs when the parents both carry recessive coat genes. But we don’t think Murphy is a dog that looks like a bear — we think he looks just like a lion! 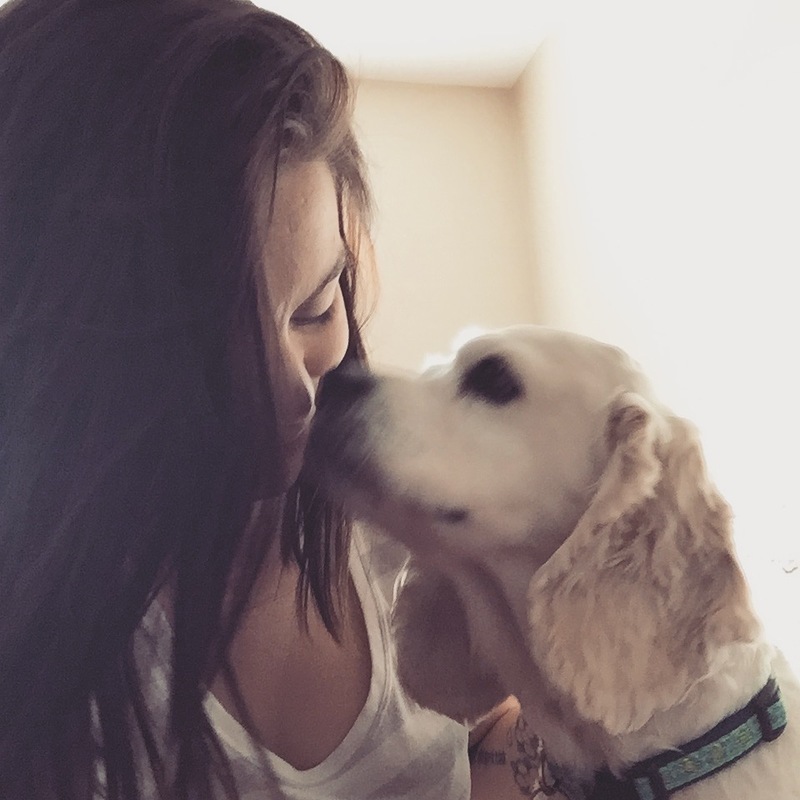 Side note: if you’re ever having a rough day, that video is a guaranteed mood lifter! But seriously, who wouldn’t want a pet lion? I mean, if lions weren’t so big and scary … and actually a horrible idea for a pet. Unless you live in the grasslands of Africa, having a pet lion isn’t a good idea — no matter how many times you’ve watched The Lion King. But having a dog that looks like a lion is an absolute win. Not only can you jump up every morning with a rousing chorus from the Circle Of Life, but you can also scare the bejesus out of the postman and/or potential home invaders. 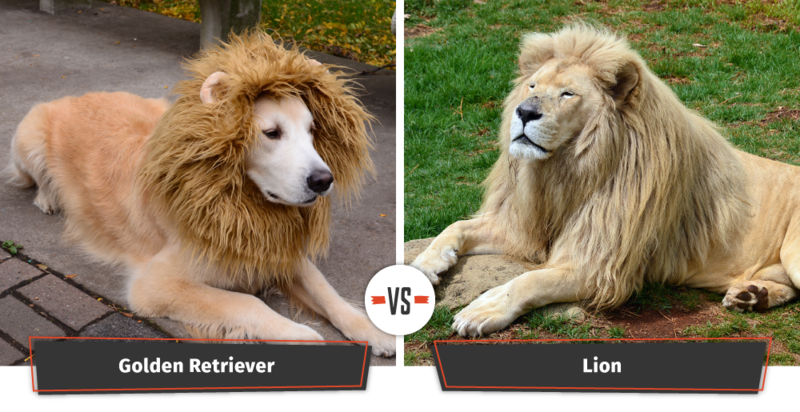 So, do you want a dog that looks like a lion? Keep on reading! 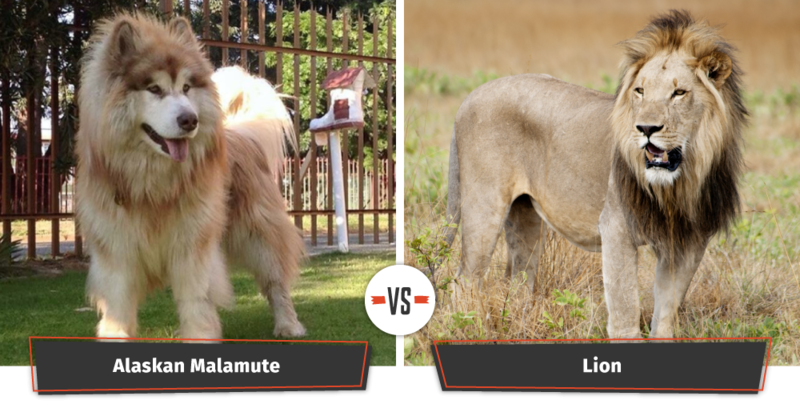 Have you ever seen an Alaskan Malamute that looks like a lion? This dog breed is usually told that they look like a wolf, with the exception of one special boy called Tydus. Tydus is an absolutely enormous fluffer-nutter who has long tan hair that resembles a lion’s mane. Weighing 120 pounds, Tydus has the hair — and the size — to make him a serious contender for becoming king of the jungle. Follow him on Instagram, and stalk his puppy pictures. You won’t regret it. The Caucasian Shepherd is one of the world’s biggest dog breeds. Fully grown males can weigh up to 200 pounds! For comparison, a fully grown male lion weighs 400 pounds on average. If you want a big dog that will definitely act as a deterrent, look no further than the Caucasian Shepherd. 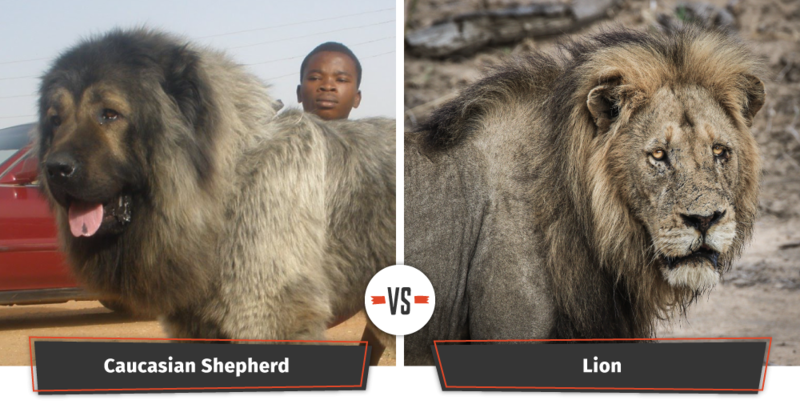 The Caucasian Shepherd isn’t just a big dog; look at that mane of hair! This dog doesn’t need a wig to look like a lion. 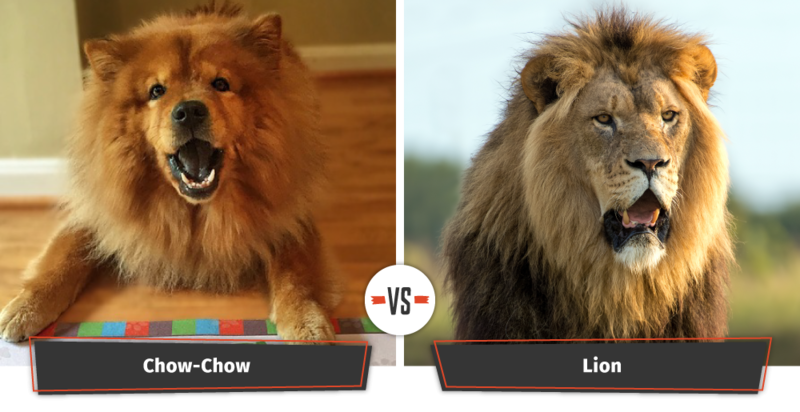 When you think about dogs that look like lions, the first dog that might pounce into your mind might be a Chow Chow! The Chow Chow is a big dog with a distinctive, golden, long-haired coat. An adult Chow Chow can weigh up to 71 pounds and is one of the world’s oldest dog breeds. The Chow Chow is believed to be the inspiration for Chinese guardian lions, stone guardians of Buddhist temples. The Golden Retriever may be America’s favorite breed of dog. Abundantly friendly and with a gorgeous golden coat, the Golden Retriever may only have the same coloring as a lion — but you can add a wig for added authenticity! 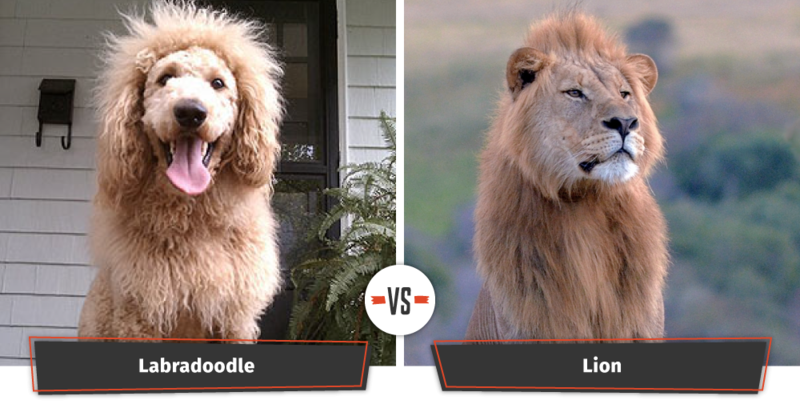 Can you tell the difference between a Labradoodle and a lion? Congratulations! You’re faring better than one very confused Norfolk resident who mistook the Labradoodle pictured above for a lion and called the cops! Nervous police officers arrived on scene to discover that the “lion” in question was this lion-looking dog with a fancy haircut! Standing up to 31 inches from the withers and weighing up to 150 pounds, the Leonberger is a giant, shaggy dog that could easily pass as a lion. Just look at those gigantic shoulders! And if you think that passing resemblance to a lion is a coincidence, think again. 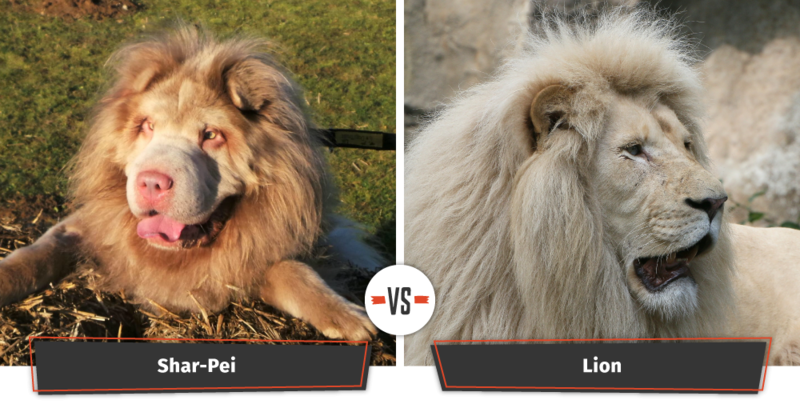 People have always wanted a dog that looks like a lion, as evidenced by Chow Chows in Ancient China! Leonberg is a town in Germany, where this breed comes from. 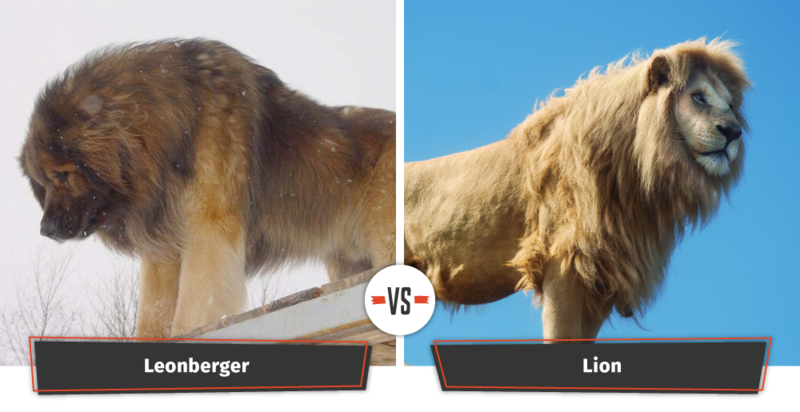 According to local legend, the Leonberger was bred specifically as a dog that would look like the lion from Leonberg’s town crest. 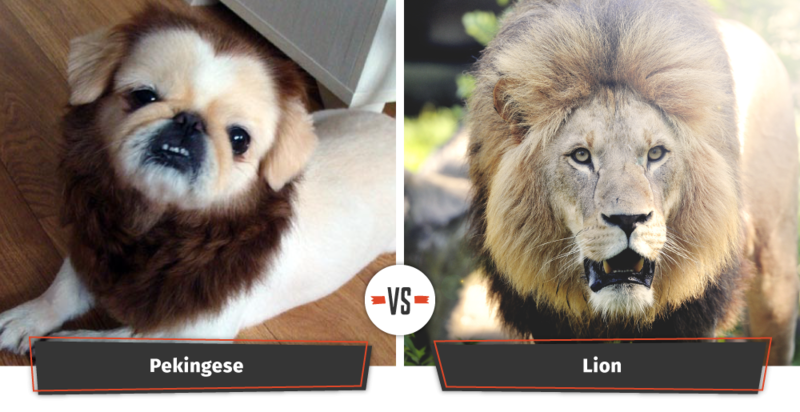 It’s no surprise that the Pekingese looks like a lion. They’re also called little lion dogs! The Pekingese is actually one of the oldest dogs in the world. For centuries they could only be owned by Chinese royalty, although eventually the breed was given out by members of the Chinese monarchy to honored guests, including the daughter of Theodore Roosevelt. 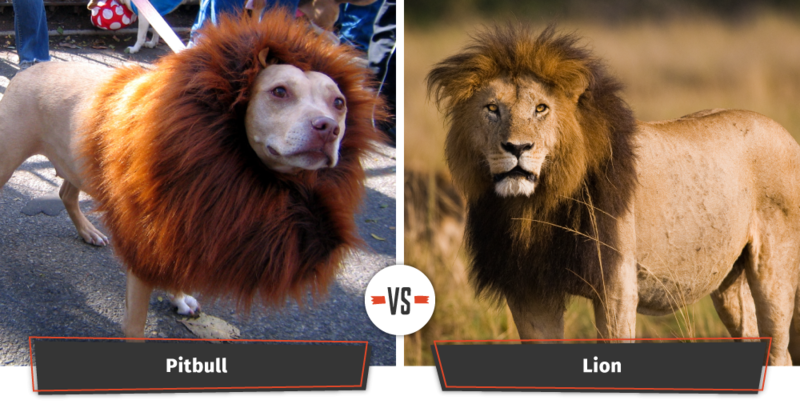 Courageous, loyal, and proud — the Pitbull is the perfect guardian who will be your real-life Aslan. Sure, they may not have lionish looks, but with a little embellishment courtesy of Amazon, your Pittie could join a pride in no time! 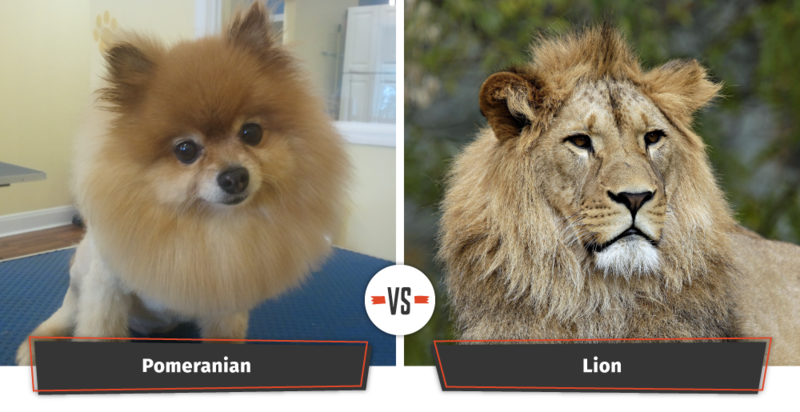 No wigs are necessary for the charming Pomeranian to adopt lionish looks! The Pomeranian already has a robust tan coat that frames their face like a mane. 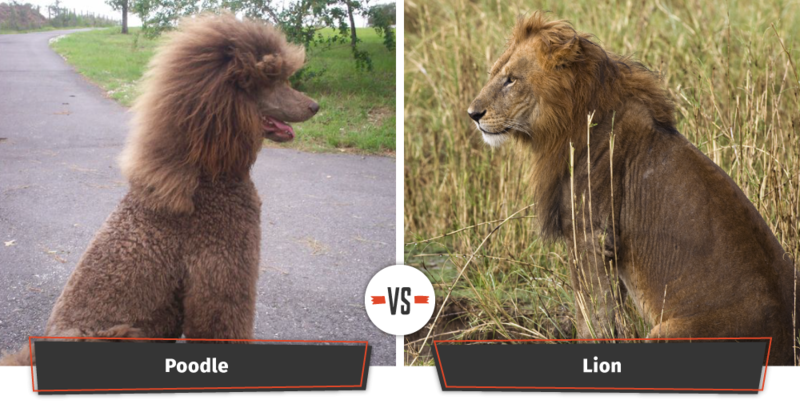 The tall Poodle has the sort of posh good looks that you might expect from a lion! This one has the flowing locks to go with it! With that billowing mane of fur around their neck and face, the Shetland Sheepdog looks just like a lion. Enjoy their big cat coloring and regal disposition! The Tibetan Mastiff is extremely rare and expensive. This giant dog looks like a lion, and the symbolism is not lost on fans of the breed. One Chinese businessman paid $2 million for a red Tibetan Mastiff. 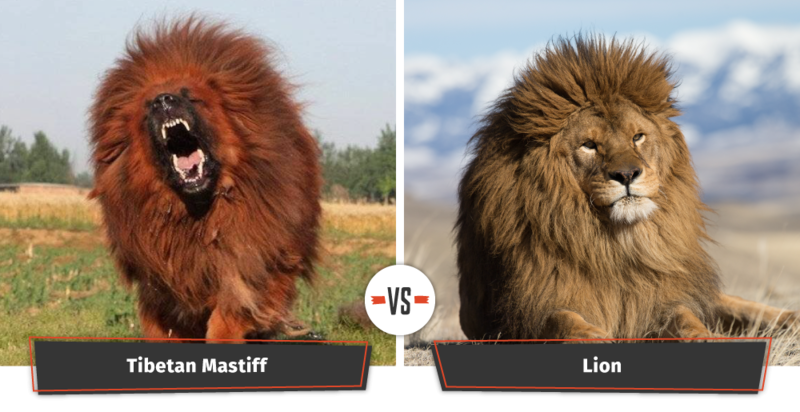 Legend says that purebreed Tibetan Mastiffs have “lion’s blood,” which is obviously not true, but it helps add to the mystique of this breed. The Tibetan Mastiff is so large and lion-like in appearance that a Chinese Zoo actually passed off the breed as an actual lion! 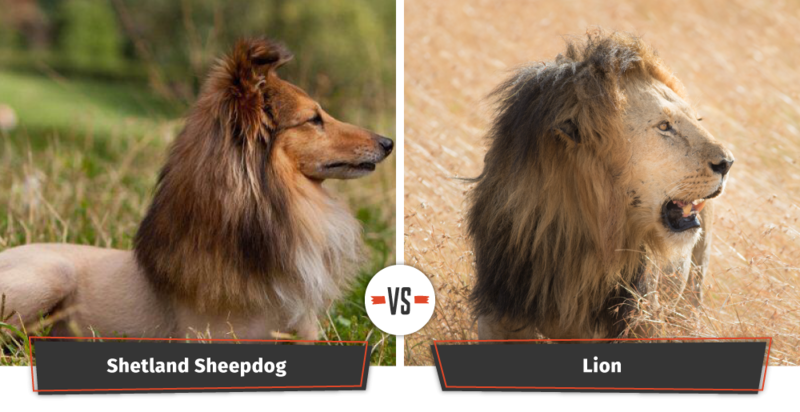 What’s your favorite dog that looks like a lion? Sound off in the comments!